It is summertime and blueberries are available at farm markets and U-Pick farms. I love the local Michigan blueberries. 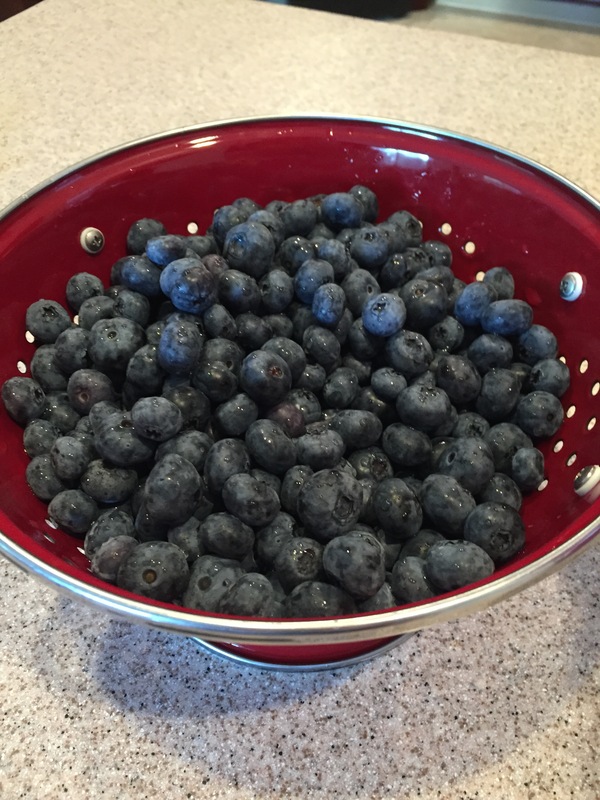 They are large and beautiful in their deep blue color, perfect for making blueberry pie. Blueberries are one of the jewels of summertime. Not only are they good, but they are good for you, providing many health-giving antioxidants. Recently, my daughter and I went over to Grand Haven to see the beach, have lunch and to shop. 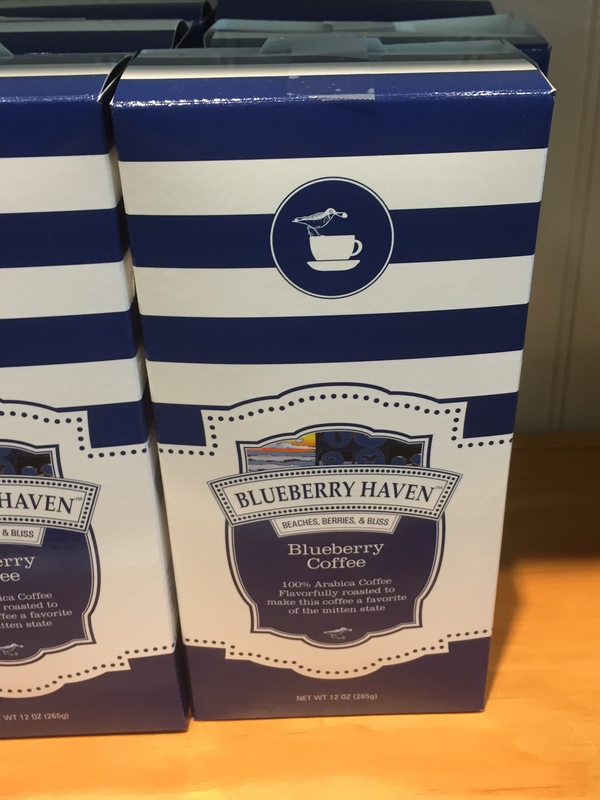 I discovered this wonderful shop that only sells blueberry related items including blueberry coffee. 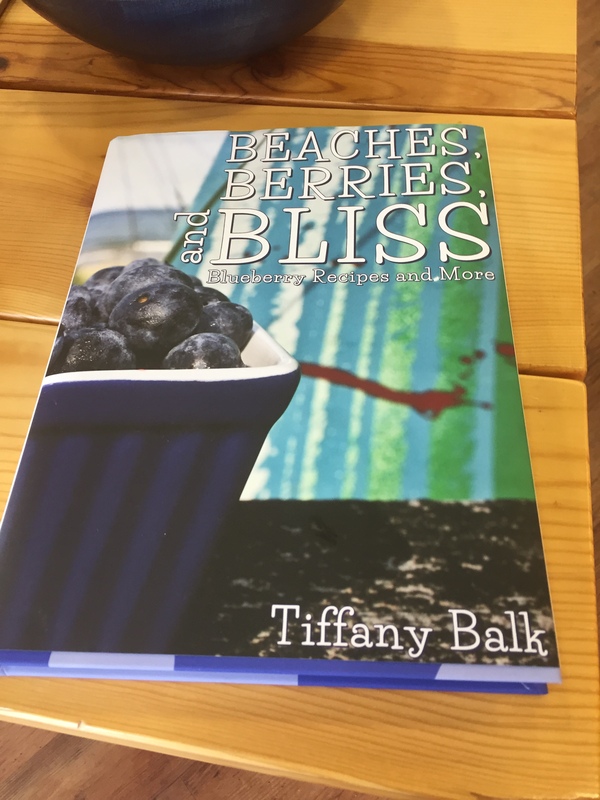 I didn’t buy the coffee but instead found a cookbook I couldn’t resist Beaches, Berries, and Bliss by Tiffany Balk. It is written by the owner of the shop. And, yes the cookbook is all about blueberries and interesting anecdotes from her life. 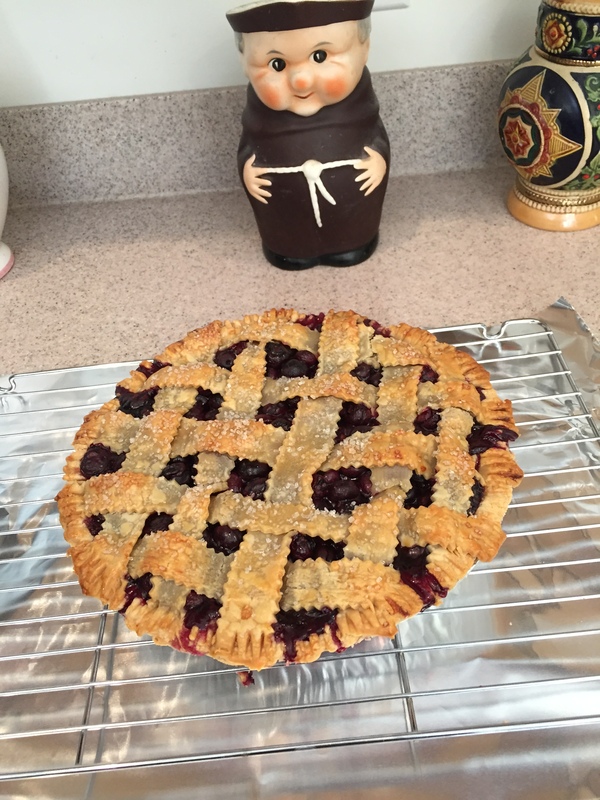 I bought blueberries from the shop and used them in the pie I made for this post. 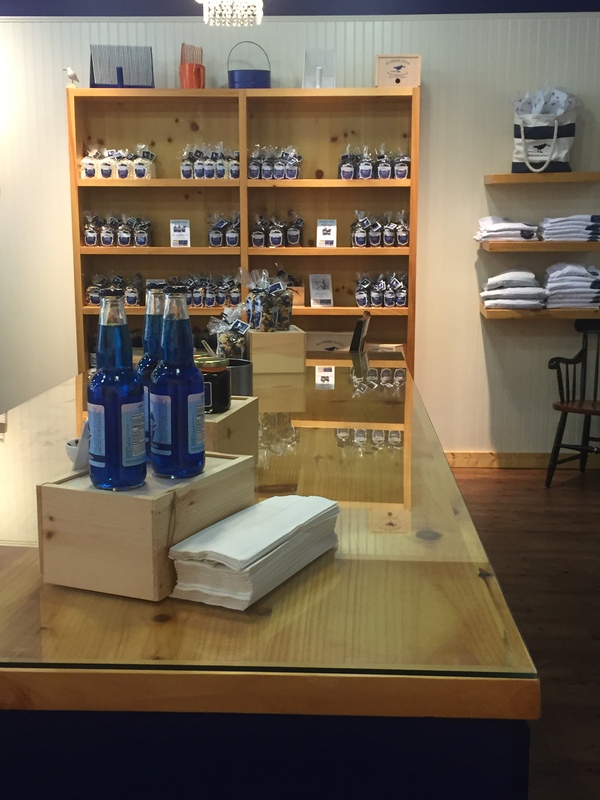 The name of the shop is Blueberry Haven and is located at 213 Washington Avenue, downtown Grand Haven, MI. With something as naturally delicious as blueberries, you don’t need a lot of complex ingredients for a great taste. This is clearly shown in the recipe for blueberry pie from Fannie Farmer in 1896. The above referenced Fannie Farmer cookbook is available free in eBook version from Google Books and can be found here. 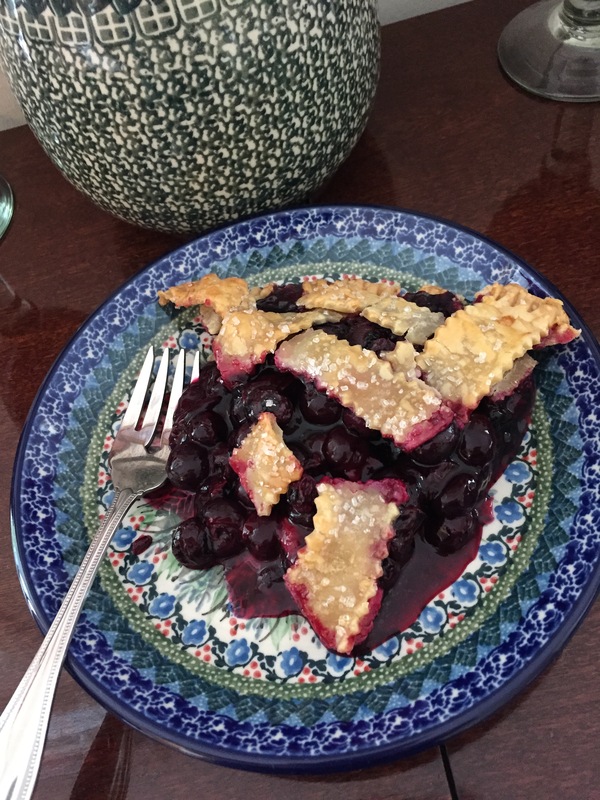 The recipe for this Blueberry Pie is adapted from a recipe by King Arthur Flour. The original recipe can be found here. Toss together the berries, thickener, sugar, cinnamon, and lemon juice. Pour into the crust. Roll out the top crust, making a lattice if you like; place it over the berries. Trim excess overhang, and crimp the edges together. Carefully brush the egg wash mixture over the lattice strips and then sprinkle with the sugar. Bake the pie for 15 minutes, then reduce the oven heat to 350°F and bake for another 40 to 50 minutes, covering the edges if they seem to be browning too quickly. When done, the filling will be bubbling, and the crust golden brown. Remove from the oven, and cool for at least 1 hour before serving. 1. I used the Clear-Jel (cook type) for this pie and was pleased with the way it thickened the pie, resulting in a pie that wasn’t too runny. 2. If you don’t make a lattice crust, cut several slashes in the top crust to allow steam to escape. 3. When washing the blueberries, pick out and remove any bits of stems, leaves and soft or mushy berries.